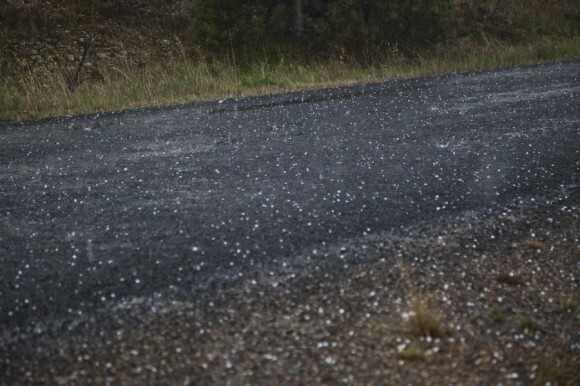 Severe storms hit the Southern Tablelands. I chose a cell south of Gunning. This cell persisted in the same area all afternoon and did nothing. When I left it for other seemingly larger black cores, it went severe with a black core but I was nearby and positioned for a chase. The radar seemed to indicate a hook or inflow notch structure and a possible couplet on one or two frames. 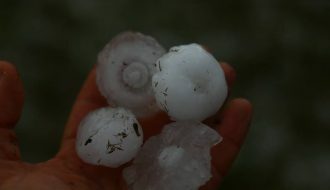 It was a reasonable cell and after getting some hail to 2cm verifying its severity, I left the cell and went home. It did persist with black cores for at least an hour afterwards but then weakened near Lake George. 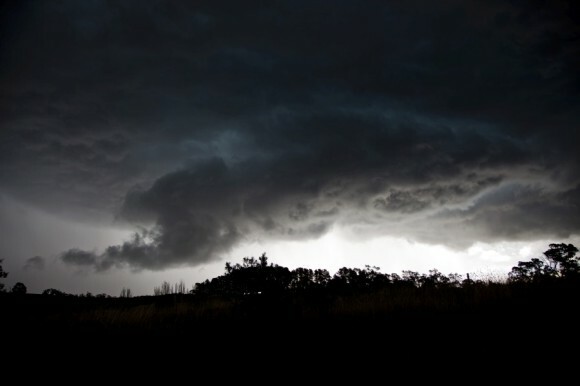 At the time of the possible inflow notch, winds were fresh easterly into the cell. I will look at time lapse later. Take a look at the Gandaroo storm which is the one I was on earlier at 8 March 2014 3:42:00 PM AEDT Fresh inflow - there was a little couplet on radar matching this inflow notch feature but it does not archive on the archive website. Jimmy, I saw that storm in the distance. I documented a storm cell near Moss Vale from its birth to its decay. After that, I saw some cloud towers on the horizon to the south west. 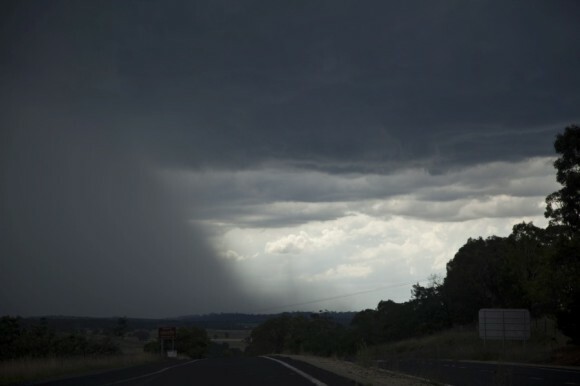 I then drove down to Marulan and took some mid distant photos of that storm that you were following. If I had not spent the majority of the Friday night / well into Saturday morning at my computer working through my Friday storm, film and lightning photos, I would have readily gone further to intercept that. However, please find attached an image showing the updraft towers so you can see what was going on away from its core. That storm did produce some strong updraft towers that were solid as well as good anvil cloud structure. Here is a better image of that storm cell from Marulan. I suspected that hail would have occurred from that cell. 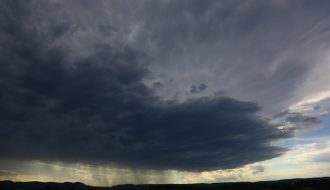 Prior to driving to Marulan, I largely documented and concentrated on this storm cell on the southern Tablelands south of Moss Vale. 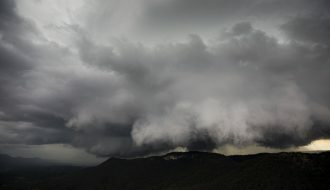 The core remained mostly tucked within the coastal ranges and national parks south of Moss Vale being Morton National Park but I was close enough to enjoy the spectacle of the cloud tower. I spent some 2 hours driving around obtaining images of the storm before it collapsed rather quickly after 3 pm. During its most active phase, it did produce some strong crisp anvils, great colourations and a dark base and heavy rain but core punching was not feasible due to its location and lack of roads. Due to its location, it is not known how much rain occurred or whether or not any hail occurred. Following that, I made my way towards Marulan as documented earlier. Well that did not work! 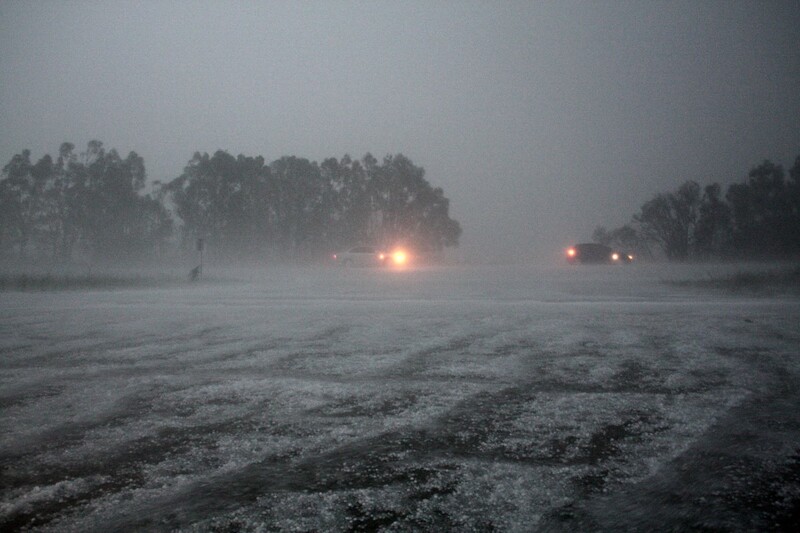 Thanks for posting the pictures Ben McBurney – some nice images of the storms near Gunning in particular – love the hail on the ground. Added radar to this event – pity there are no archives of the doppler! 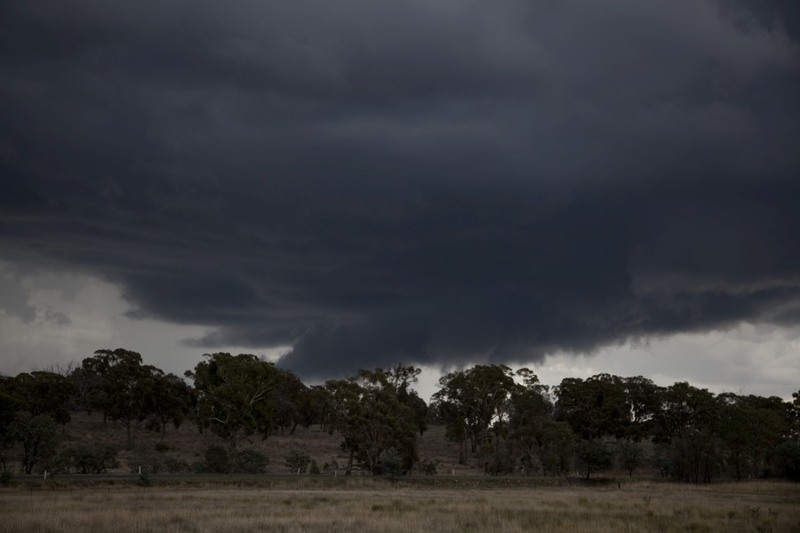 It shows a possible inflow notch on the Bundaroo storm. The time-lapse of this storm will be hopefully posted this evening. Quite interesting too – watch this space! 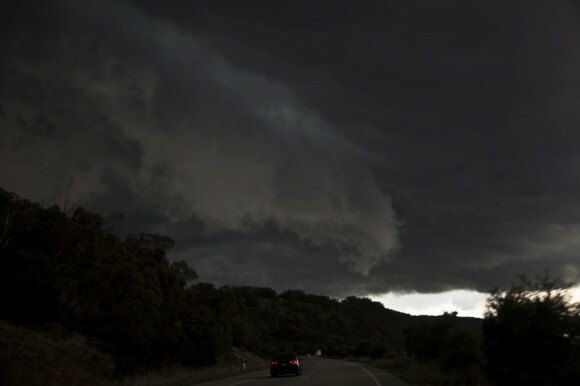 Hi, I have added the video time-lapse from the Gundaroo storm quite interesting behaviour! Michael Thompson, it seems like we passed each other on this initial storm. I noted the behaviour of this storm on your video! Nice video Jimmy, love the organised structure of this one, a clear slot is apparent as we discussed on the phone. Definitely Wish i had chased this day!